During the 2000 presidential campaign, the staff for then-Texas Gov. George W. Bush asked him to play the part of Democratic vice presidential candidate Joseph I. Lieberman in mock debates that the Bush team had arranged for Richard B. Cheney, its desired running mate. 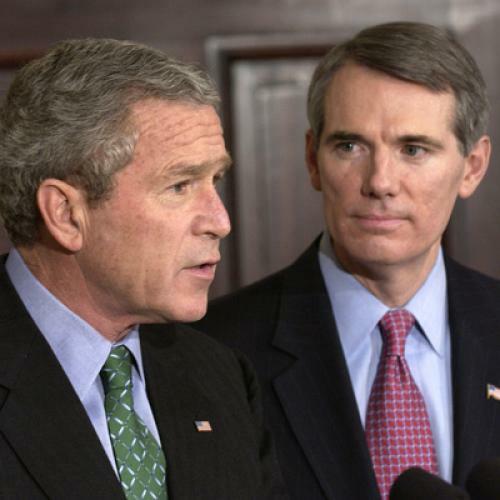 Portman proved so formidable that, before the last of Bush’s three debates, he found himself in the dining room of the Texas governor’s mansion, playing Al Gore against Bush. He had prepared for the practice session by watching tapes of virtually every Gore debate he could find. Days later, in the real debate, Gore rose from a stool and walked toward Bush. Ready for it, Bush did a mock double-take and smiled dismissively at him. Of course, it’s not Portman’s debating skills that Romney would be after, but his roots in a state that is essentially a must-win for Romney. (No Republican has become president without winning Ohio.) When I was in Ohio reporting the magazine’s current cover story about the effort by the state’s Democratic coalition to carry forward the momentum from last fall’s referendum over collective bargaining rights, I asked the Democrats I met with what they made of the threat of having Portman on the ticket. The typical reaction was dismissiveness—Portman, they said, has strikingly low name recognition in the state outside of the Cincinnati area, which he represented in Congress. And indeed, a Quinnipiac poll released earlier this month found that adding Portman to the ticket had zero impact on Ohio polling: with Portman on the ticket, Obama and Romney would be tied at 45-45 percent, a blip different than Obama’s 45-44 lead over Romney without running mates identified. Not exactly a ringing hometown endorsement. But it’s worth noting that this could easily change—Buckeye chauvinism may well kick in if an Ohioan is brought on the ticket, giving Romney the few percentage points he would need to carry the state. And if, during the lone vice presidential debate, Joe Biden tried to move into Portman’s space, well, it sounds like the polite former budget director would be ready for him.